no counter, so customers can shop the store freely and access products themselves. stand-up freezers, enabling self-serve shopping. full-colour packaging graphics, reflective of the new branding. a new uniform program for designated meal advisors. The M&M Food Market development team has optimized the franchise network coast-to-coast, working side-by-side with the company’s franchisees during the renovation process to refresh the overall store experience. With nearly 100 locations now rebranded across the country, the feedback has been overwhelmingly positive. The company’s development team also continually seeks non-traditional retail opportunities to set the stage for future growth. In 2017, M&M Food Market Express opened at the Seneca College campus in Toronto. This smaller-footprint store, located within a residence building, provides new and different meals for students, unlike anything else offered on campus. The company has also opened an urban concept store in Edmonton’s up-and-coming Ice District, featuring a newly designed point-of-sale (POS) counter, technology and general merchandise throughout the store. This concept store will serve as a testing ground as the brand seeks other downtown locations in major cities across the country. To support key initiatives across the organization, the company recognizes a continued need for innovative ways to communicate and conduct business. Thus, many new programs and capabilities have been developed and implemented. With each location’s rebranding, more franchisees and meal advisors are emerging from behind the counter and creating personalized, one-on-one customer experiences. 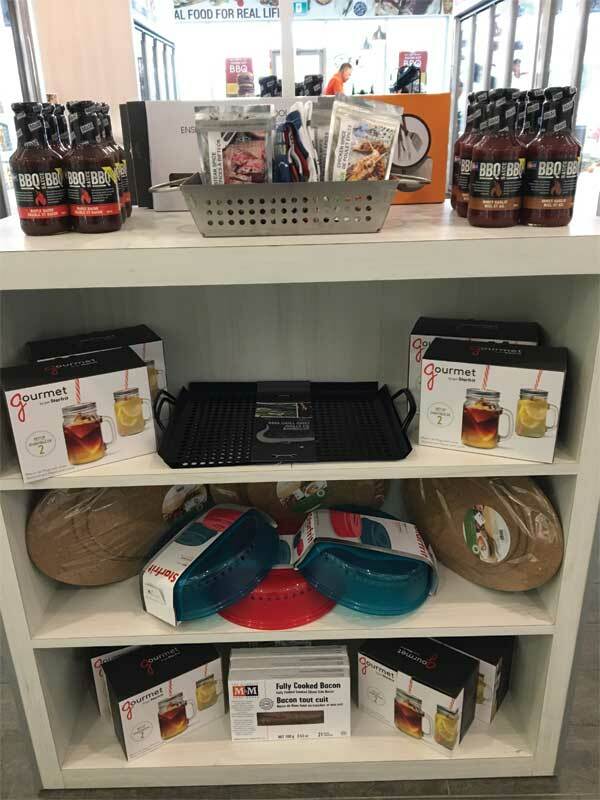 M&M Food Market’s product of the month program promotes feature items for customers looking for new meal ideas, while the Taste of M&M program ramps up the brand’s pre-existing product sampling. The updates to this program include the introduction of additional items, increasing the number of days and hours sampling is offered in-store and promoting the offerings in print and digital marketing to ensure the public is informed. Both of these programs have been popular with staff and customers. M&M Food Market’s on-boarding and training programs ensure new franchisees across the country receive the tools and information needed to provide a positive in-store shopping experience for customers. Among enhancements and improvements to the training program, a new, state-of-the-art centre was introduced at the company’s head office in Mississauga, Ont. This fully equipped classroom includes spacious working areas for individual and group learning, dual interactive screens to facilitate video conferencing, space for in-person demos and presentations and freezers stocked with products. The organization has introduced a new cloud-based POS system to revolutionize the way franchisees conduct business and interact with customers. This tool provides such in-store capabilities as offers and promotion options, wireless transactions, electronic receipts and full integration with other company information technology (IT) systems. The POS platform also provides opportunities for new projects and upcoming initiatives.